Facing a criminal charge can be frightening and confusing no matter your age, but being charged with a crime as a juvenile comes with unique challenges. A criminal record can follow your child for the rest of his or her life, affecting his or her ability to get into an academic program, get a job, or even an apartment. If your child is being charged with a crime, you need an attorney who is familiar with the North Carolina juvenile justice system and who will explain to you the steps and process regarding your particular situation. The criminal defense attorneys at Kirk, Kirk, Howell, Cutler and Thomas, L.L.P. understand the potential outcomes that can stem from a criminal record and work tirelessly on your child’s behalf. First and foremost, you will want to keep your child’s criminal case where it belongs – in the juvenile system. Most non-violent juvenile crimes are classified as misdemeanors. An attorney that specializes in juvenile offenders will know how to prevent your child from being charged as an adult. In North Carolina, age is the main factor in determining whether your child will be charged as an adult. In North Carolina, 16 and 17-year olds can be charged as adults, but thanks to a recent “Raise the Age” legislative push, that will change in 2019. A judge, however, can opt to charge a child as an adult depending on the severity of the crime. Once a minor is charged with a crime, they are sent to Juvenile Court Services, where the charge is evaluated. Your family and the child will be interviewed by counselors. From there, the case could simply be closed if it is deemed that court intervention isn’t necessary – this is typically reserved for non-violent first offenders. Juvenile Court Services can also choose to divert the case from court. In this case, a diversion plan is created for the child and whether or not it’s heard in court is contingent on its successful completion. Diversion plans can include state-sponsored programs and volunteer activities. If a juvenile court counselor deems your child to be a risk, the case will be immediately sent to the courts. There’s also a possibility that your child could be held in a detention facility. Nationally, youth arrests have gone down significantly since the 90s. 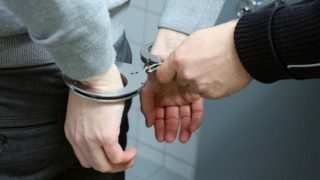 In North Carolina, there were 27, 522 charges filed against juveniles and the vast majority were minor offenses, according to the North Carolina Department of Public Safety. Unfortunately, once these cases were turned over the Juvenile Court Services, the majority of them were approved for court, so it’s likely that your child should prepare for that outcome if charged with a crime. In 2016, the vast majority of juvenile offenses in North Carolina were minor charges such as simple assault (fighting), larceny, or disorderly conduct at school according to the North Carolina Department of Public Safety. Only a small percentage of these charges were considered to be felonious. Other offenses that are common among juveniles are underage drinking or possession of drug paraphernalia. Being aware of your child’s whereabouts, friends and activities is key to helping them stay out of trouble. Keep the lines of communication open and make your child aware consequences of engaging in risky behaviors. Children can be impulsive, but if you arm them with information they are more likely to make responsible choices. Being arrested is scary and traumatic for the child and the family, but it is important to stay calm, remain polite, and know your rights. As a parent, your first instinct is to defend and protect your child, however, arguing with a law enforcement officer will not help. It is important to remain calm and be a voice of reason and understanding for your child. In most cases, minors are not held and cannot post bond, so your child should be released and in your custody post-arrest. Contact a criminal defense attorney as soon as possible to advise you and your child in the next steps. If you find yourself having trouble dealing with your child’s arrest, find a local support group or speak with a therapist. It is a tough situation and you do not have to go through it alone. Take care of yourself – your child needs you! Family Resource Center South Atlantic – Provides services for parents and early childhood education. Haven House – Provides community-based services to at-risk youth and their families in Wake County. AMIKids – Non-profit dedicating to helping at-risk youth become responsible and productive citizens. CORRAL – Christian non-profit that pairs at-risk girls with rescue horses to experience healing and love. Methodist Home for Children – Provides vulnerable children dealing with abuse, mental health issues, and addiction with short term homes and care. Protect your child’s future. Don’t let them get lost in the court system. 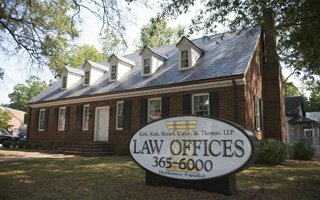 The Criminal Defense attorneys at Kirk, Kirk, Howell, Cutler & Thomas, LLP have seen many juvenile offender cases in Raleigh. Call (919) 615-2473 or complete the online contact form. Don’t wait until your child’s court date is right around the corner. Speak with one of our attorneys today.